The judgment and justice of God are two very controversial topics in modern theology. God has been reshaped and modeled in a way that affirms our modern ideals, especially tolerance, love, acceptance, and political correctness. In this sense, we cannot, then, speak of God as angry or wrathful against sin. Many famous theologians and popular speakers have demanded that if God is love, then He cannot also be just. But God defines Himself quite differently. He is love, but he is also jealous, wrathful, avenging and just (see Nahum 1:2-6; Rev. 19:11-21; Ps. 7:11; Heb. 12:29). The author of Leviticus knows this God and so we have included in this litany of laws and regulations a reminder of His holiness in the narrative of Aaron’s two sons. The point of the story, however, is that we must accept God’s judgment as part of His holy character. In one of the more familiar passages in the book of Leviticus Aaron’s two sons rebel against God’s authority and offer worship in a way that God does not approve. As a result they are struck dead. The details of their death are concise. The author does not take up much space in the narrative describing the events or explaining them. He is quick and to the point. They offered “unauthorized fire before the Lord, which he had not commanded them” (v. 1). As a result “fire came out from before the Lord and consumed them, and they died before the Lord” (v. 2). Following directly on the heels of the detailed descriptions of the sacrifices and offerings, and after the appearance of the glory of the Lord, this story stands in stark contrast. Its contrast is intentional. It illustrates the weakness of man, the importance of continual obedience, and the seriousness of God’s structures and commands. Though God’s glory has appeared to them, they are not therefore free to do whatever they like. They must continue to abide in His will. God’s response to this sin was swift and strong. It had to be because of the vital role that the priesthood played in Israel’s cultic life, and particular with regard to Israel’s worship. Perverted worship would rapidly lead to the perversion of all of Israel’s corporate life, as later events in their history reveal. The bulk of the text, however, does not focus on the actual events of the “unauthorized” or “strange fire.” Instead it focuses on Aaron and his response to the death of his sons. In particular it calls for Aaron and the other priests to be warned and to grieve the offenses against God. The passage actually focuses on the ways in which the judgment of God must be accepted and presented. Judgment is one of those awful subjects that man hates, especially modern man. The modern theological liberal condemns the judgment of God as an unworthy characteristic of the almighty. “How could a loving God send people to hell?” God doesn’t have wrath – modern religion has overcome such barbaric notions of the ancient world. This passage, however, very much emphasizes that we must embrace and communicate clearly and carefully the truth of God’s divine judgment against sin. God’s justice is part of His glory. The point is not to rob Aaron of his grief. But that because His sons were directly punished by God for their sins and rebellion as priests, Aaron must grieve in a way that does not misrepresent the justice of God. He is to grieve in a way that acknowledge that God was right to condemn the guilty. He needed to grieve, and God would not rob him of grief. It is right and good to grieve even the death of the wicked (a thing the Lord himself hates, see Ezek. 18:23). But how Aaron grieved mattered. He could either communicate the glory of God even in this grief, or he could misrepresent the justice of God. There is no denial of grief, only a proper framing of it. 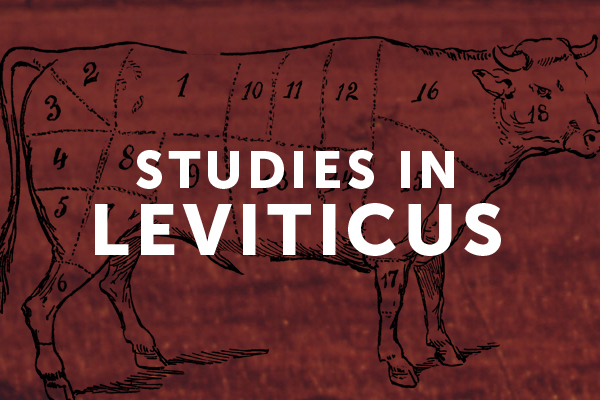 The justice and righteousness of God are major themes in the book of Leviticus. Here, even in this narrative account, the intent is to continue communicating the glory of the Lord’s righteousness. Nadab and Abihu sinned in very grievous ways, God must punish sin. The obvious good news for believers today is that Christ has paid that penalty for us. None of us is perfect, we have all done wrong by the Lord. How, then, can we who are the “objects of wrath” (Eph. 2:3) accept and celebrate the justice of God? We ought all to be struck dead just like these two men, yet there is hope. The justice and mercy of God meet in the person and work of Jesus Christ. Christ suffers the wrath of God in our place (1 John 2:2; 1 Peter 3:18). God’s justice is part of His glory, and we may celebrate it now because in Jesus we escape that wrath and are drawn into His righteousness (2 Cor. 5:21).